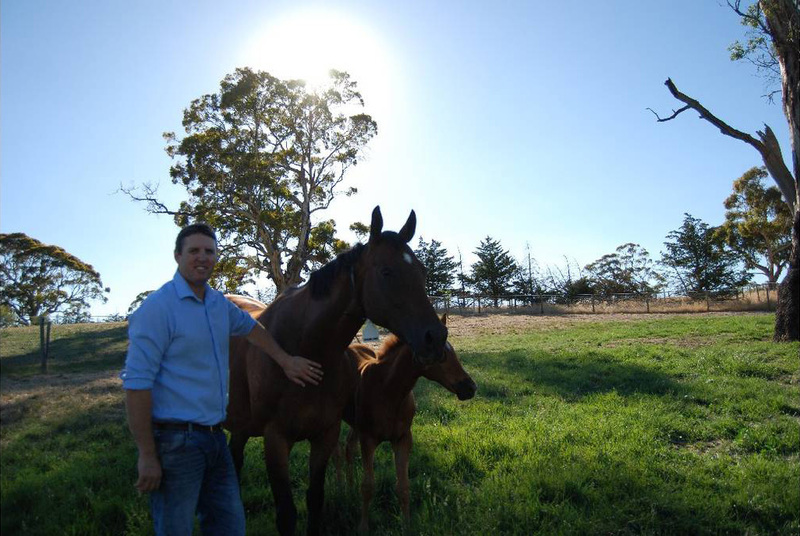 STUD MANAGER: Andrew Perryman, at Goldin Farms, with the mare Cascade and her filly foal by the stallion Host. 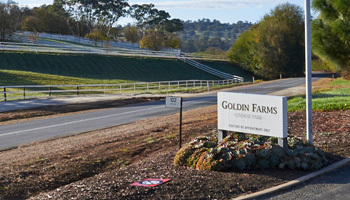 South Australian Andrew Perryman has been appointed stud manager for Goldin Farms, the former historic Lindsay Park Stud in Angaston. Born and raised in the South-East and from a strong racing family, Perryman, has worked for some of the world’s most famous thoroughbred studs. Most recently with the Australian arm of Darley through Woodlands at Denman in New South Wales, Perryman has worked in Ireland and the United States with Coolmore and Juddmonte Farms. During his tenure as stud manager of two breeding operations from 2006 to 2013, he supervised the rearing of bloodstock owned by Ingham Bloodstock and Sheikh Mohammed’s Darley Woodlands operation. Perryman said he was excited about his role with Goldin Farms, owned by the Goldin Group managed by Mr Pan Sutong. 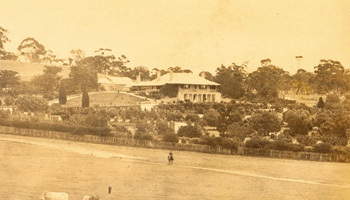 “Lindsay Park is an ideal equine environment with a long tradition and established reputation for breeding and training racehorses of the finest bloodlines,” Perryman said. Akeed Mofeed, the 2013 Hong Kong Derby winner, which also won the 2013 Hong Kong Cup, is owned by Mr Pan and it is the plan for the dual Group One winning stallion to eventually stand at stud on Goldin Farms. “He will be the foundation stallion,” Perryman said. “But it is not yet decided if Akeed Mofeed will stand in 2014 or race on and be retired in 2015. “We are happy to have Andrew join us at Goldin Farms,” Mr Pan said.